I was lucky enough to get an opportunity to test out the Wacom DTU-2231 for the past couple weeks. I’ve been seeing quite a bit of Wacom at the ESRI UC and other conferences and it would appear they are making a big push in the professional GIS world. With ArcGIS 10, I couldn’t pass up the offer to give the Wacom DTU-2231 a try. While the Wacom can be stood up like a monitor, it is best experienced laying flat (like a workspace). This gives you an opportunity to lean on the device and work better with whatever apps you are using at the time. I wasn’t sure at first about putting my hands on the monitor/tablet, but it feels so natural and it mimics how we used to work with cartography before GIS came along (yea, all that pen and paper stuff is coming back to me now). Now the monitor itself is crisp as anything I’ve seen and it runs at a native 1920x1080 giving it full HD resolution. The maps just leap off of the page because they are so crisp. The pen was something I wasn’t used to as previous tablets I’ve used had heavy pens that required to be put in a recharger when not in use. This one has a battery-free pen which means the pen is lighter and you never have to worry about it not being available for use. Once you get used to using a pen directly on a monitor, you never pick up the mouse again. The pen is pressure sensitive, but I couldn’t tell if ArcGIS could tell (I’m sure it didn’t). Other apps of course do take advantage of the pressure making it fun to work with. 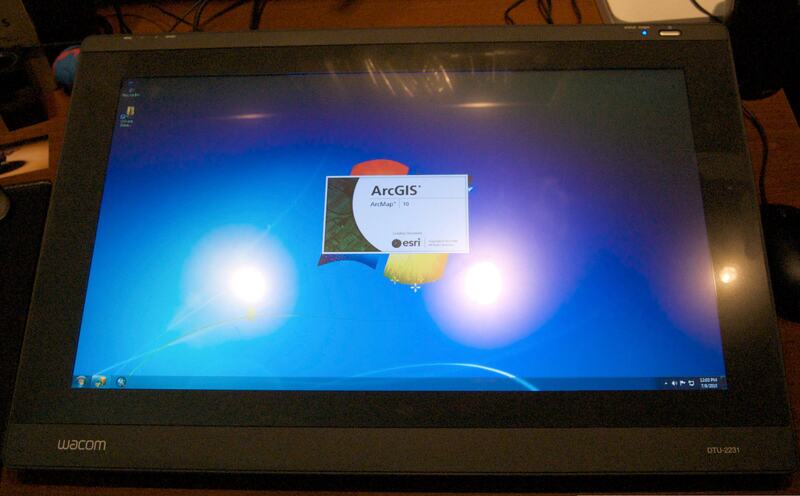 Using the Wacom with ArcGIS 10 was my main goal. 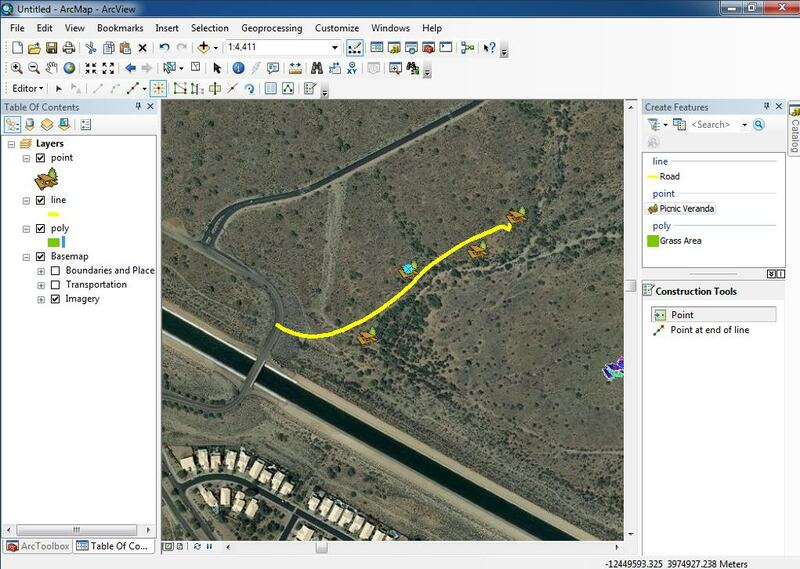 ESRI’s new editing tools seem like they are meant to be used with tablets. The freehand drawing capability really changes how you sketch out maps in ArcMap. Since I came up through the “Planning” side of GIS, I’ve made more site plans than I care to recall. Usually they are a result of someone drawing something on a map that you printed out and then you attempt to either scan that map back into ArcGIS or you draw it in unnaturally with your mouse. The old adage, you can never have too many nodes usually means your arm feels like it will fall off making those curves. But with this Wacom tablet, I was able to sketch directly on top of an aerial image, as well as let others sketch what they wanted to see on the map. This meant that we worked directly inside my geodatabase speeding up my work. 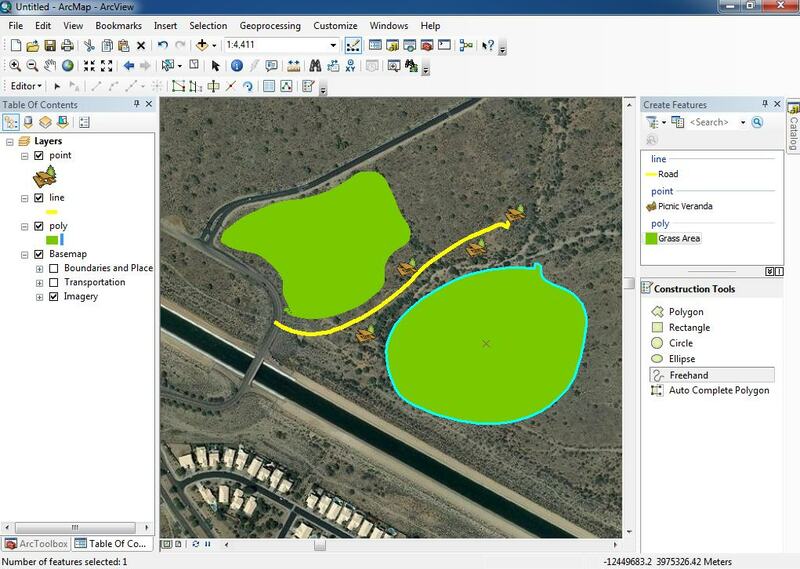 Plus with the new template tools in ArcGIS 10, we were able to pick exactly the right kinds of symbology as we edited. Putting grassy areas down was as easy as drawing them on paper, but in this case they take on the properties of the geodatabase. 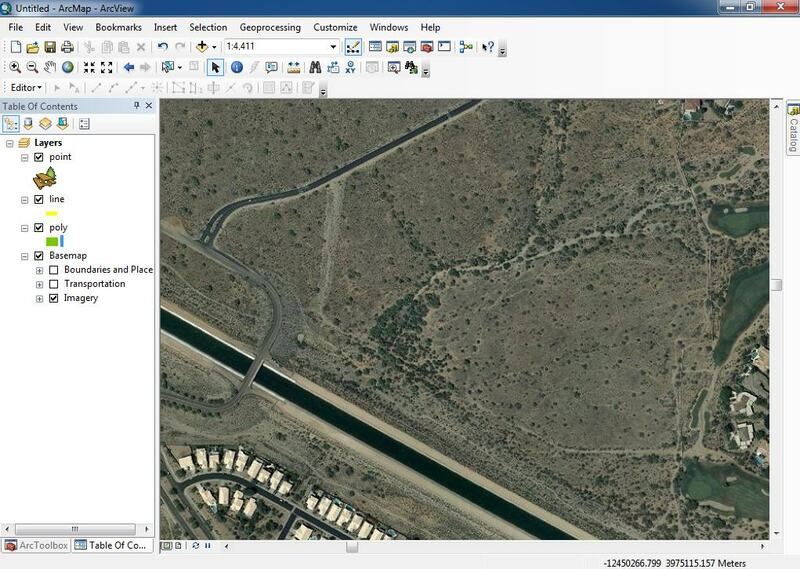 As I said above, the whole experience working with geospatial features with the tablet was liberating. I’ve been frustrated for years by planners who ask from broad, smooth curves that by no fault of my right arm, cannot be drawn using a mouse. The pen speeds up any editing of geodatabases and in turn gives results back to the planners quicker than we were able previously. Not scanning in tracing paper or vellum into ArcGIS on its own probably pays for the unit itself. Also the new editing functions of ArcGIS 10 are a huge change from how people have edited GIS data in any platform before. I’ve also said symbology was as important as the data itself for presenting and the template tools, the storage of these tools inside the geodatabase, all epic. I’m looking forward to working with this Wacom tablet some more. Its funny in that when I’m working on a computer that doesn’t have it attached, I get very frustrated now having to use a mouse. If you are going to the ESRI UC next week, make sure to stop by the Wacom booth (Booth 2713)?to see it in action and play around with it yourself. I’ve heard ESRI will have a bunch of them around the exhibit hall and in sessions so I’m sure you’ll see it just about everywhere. Ladies, do you want your GIS Analyst working with the Wacom DTU-2231? Of course you do! Swan Dive! Note: Wacom provided the DTU-2231 to me for evaluation purposes.